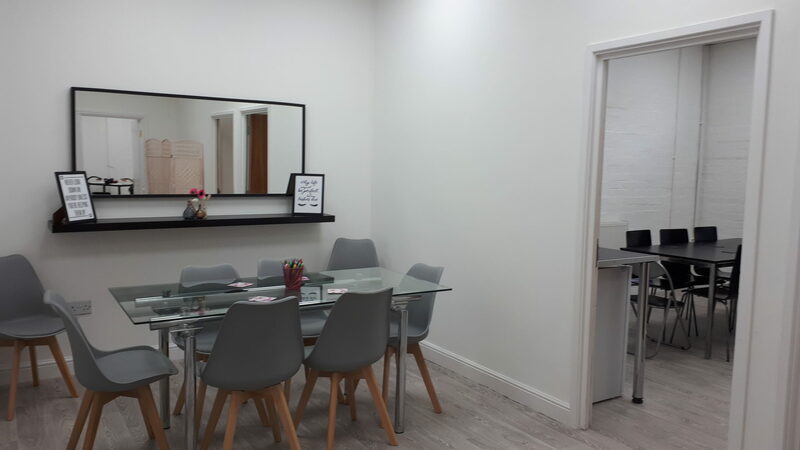 Our beauty diploma and NVQ beauty, nail and make-up courses in Birmingham are now run at our well equipped and easily accessible Beauty School located at Vyse Terrace in Branston Court, Branston Street, Birmingham. The training centre is well located within The Jewellery Quarter area which is a vibrant part of the city. Close to the A4540 / A38 road links with secure multi-storey parking available locally. The centre is well served by public transport as you can easily catch the Midland Metro Tram direct from Snow Hill Station or a stop at Grand Central New Street tram stop just a few minutes from New Street Station itself. There are also several buses regularly serving The Jewellery Quarter area, running every 10 minutes from Moor Street Station. Via car: From M6 South or North West, leave M6 at Junction 6 and follow the A38 known as the Aston Expressway. Follow signs to the City Centre (Bromsgrove) A38. Exit the A38 at Dartmouth Circus, take the right hand exit on the large roundabout (Matalan will be in your left) onto the A4540. The A4540 is called Newtown Middleway and then becomes New John Street West. Turn left onto Vyse Street, take the 3rd turning right onto Branston Street and Branston Court is immediately on your left. 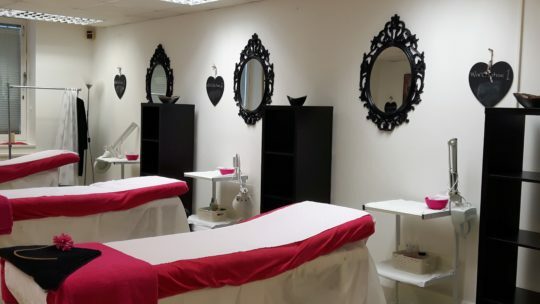 The Beauty Academy is through the iron gates, building situated directly ahead of you (Vyse Terrace). The entrance will be to your left. Should you find the access gates are closed, please call on 0800 999 2277 and the tutor will be advised and come down to grant you access. The best parking facility is The Jewellery Quarter multi storey car park. All day parking £5. At the top of Pitsford Street, instead of turning left onto Vyse Street, turn right and the car park is immediately in front of you.. Exit the car park and walk back up Vyse Street and 3rd right into Branston Street. 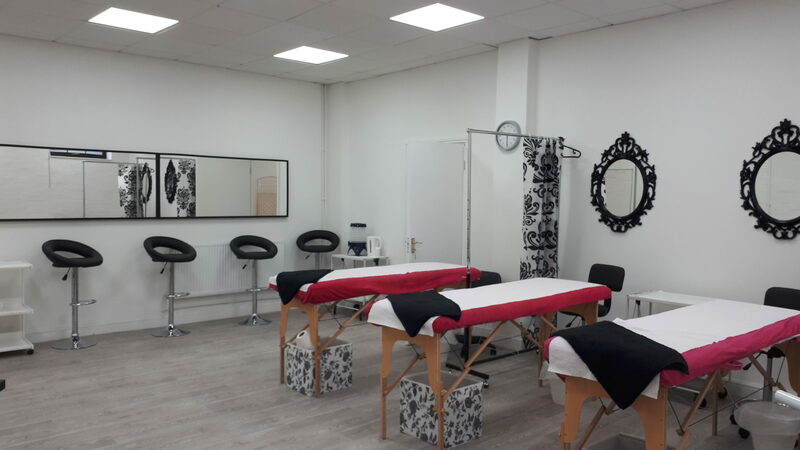 The Jewellery Quarter station is 2 minutes walk away from us and is accessible very easily and quickly from both Snow Hill and New Street stations via Midland Metro Tram £3 or train £1. 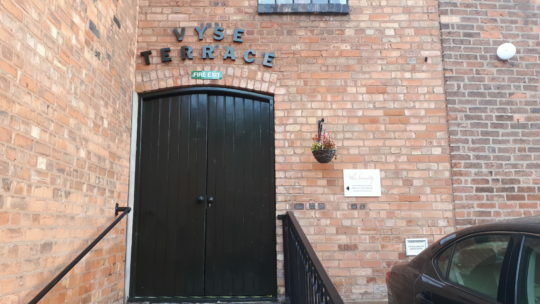 The station is on Vyse Street. Exit the station, turn left and take the 2nd right onto Branston Street. Branston Court is immediately on your left. 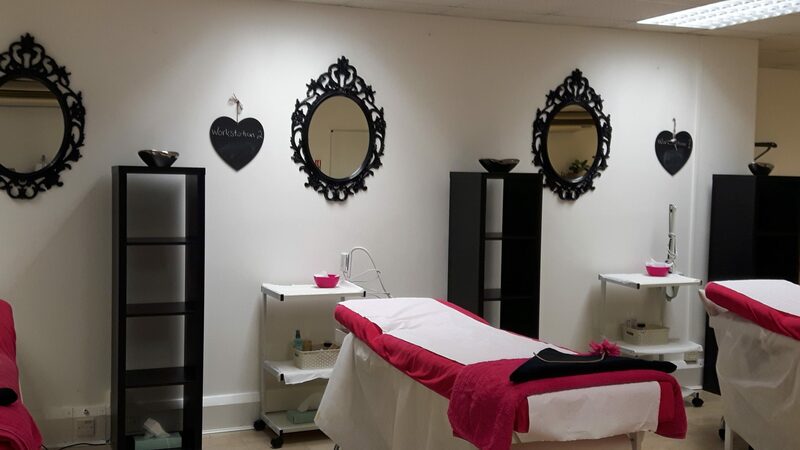 The Beauty Academy is through the iron gates, building situated directly ahead of you (Vyse Terrace). The entrance will be to your left. Should you find the access gates are closed, please call on 0800 999 2277 and the tutor will be advised and come down to grant you access. The number 16, 16A and 16W buses run every 10 minutes from Moor Street Station to The Jewellery Quarter station. Our diploma and VTCT beauty, holistic, nail and make-up courses in Birmingham are run at our well-equipped and easily accessible beauty school located in Branston Court. 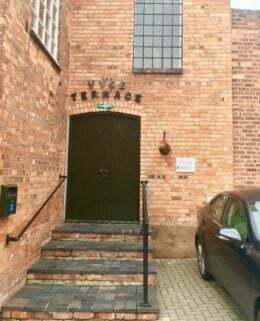 Set within a quiet side road just 2 minutes walk from The Jewellery Quarter, a vibrant part of Birmingham’s city making it easily located. 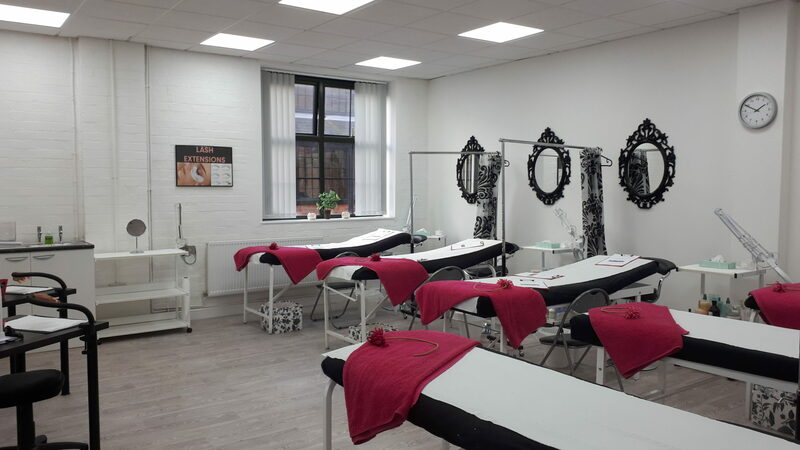 The Beauty Academy Birmingham is accessible via train from New Street or Snow Hill stations via Midland Metro Tram (£3 or train £1) to Vyse Street or several buses which run every 10 minutes from Moor Street Station to The Jewellery Quarter. 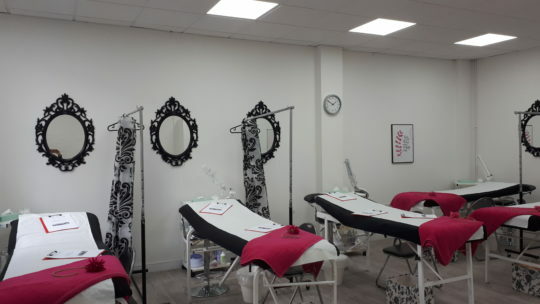 The Beauty Academy Birmingham is furnished with a spacious, modern interior and fully equipped to teach all courses. There is a comfortable area for students to use prior to training and during their lunchbreak for refreshments. 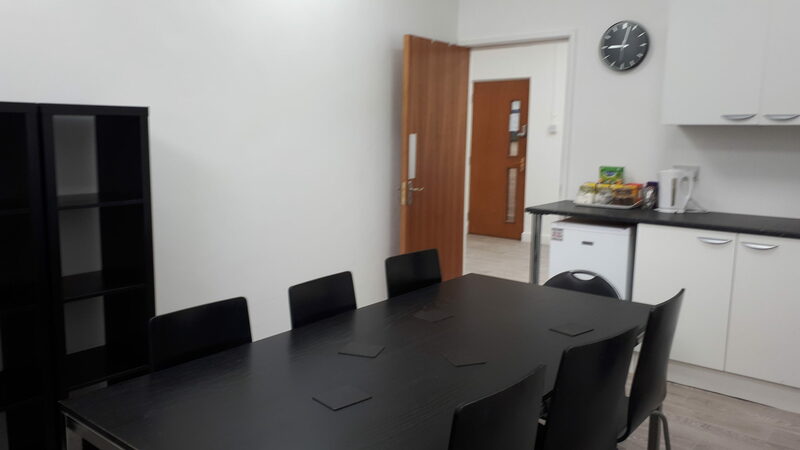 Although we do not have our own private parking at the centre, there is excellent parking facilities just 2 minutes walk away from the centre within The Jewellery Quarter multi-storey car park which provides secure all day parking for just £5 all day.